Looking for a venue a little out of the ordinary? 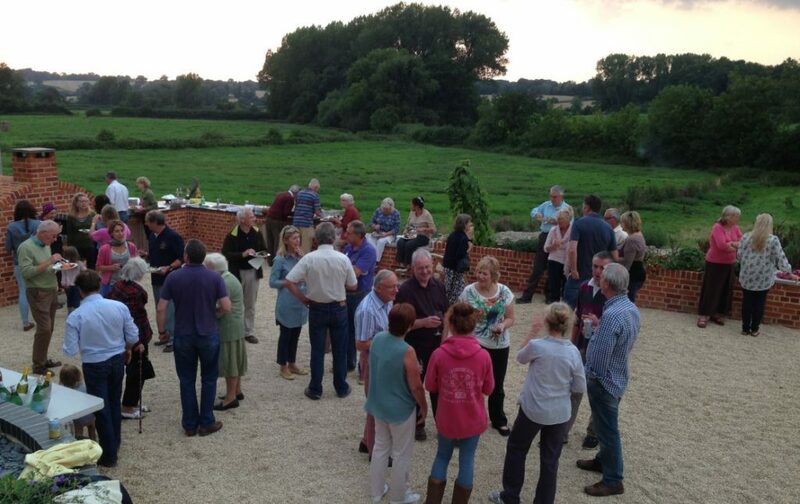 Whether you are planning a family gathering, a friends reunion or a wedding, Buttle Farm has some unusual options for you. Our large party terrace can be just what you want it to be. A rural wedding venue? Want to avoid churches and ‘ordinary’ hotels. Be the first of your friends to get married on a pig farm! A pizza party – cook your own – get your hands floury, create your own unique toppings and with a bit of coaching, you’ll be wielding the peel like a professional before the day is out. A perfect way to get everyone talking and laughing. Host an event with none of the trouble of having it at your own house! Be the hosts, invite your friends … for celebration drinks, for a BBQ … whatever the event, let us do the work and bring everyone to a unique setting that everyone will remember.